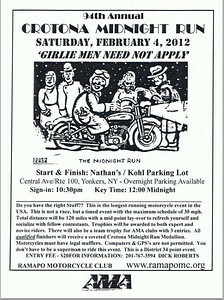 The 2013 Crotona Midnight Run is scheduled for Saturday – February 23rd. For the last 48 hours I have been rapt by the yearly ritual of watching the weather as that day draws closer. By the look of the forecast for Saturday into Sunday – things aren’t shaping up so good. The temperatures are fine but a 70% chance of snow/rain? Eh, not so much. The other thing that I’ve been wrestling with is what to ride. I really, really (really) want to ride the Tiger. 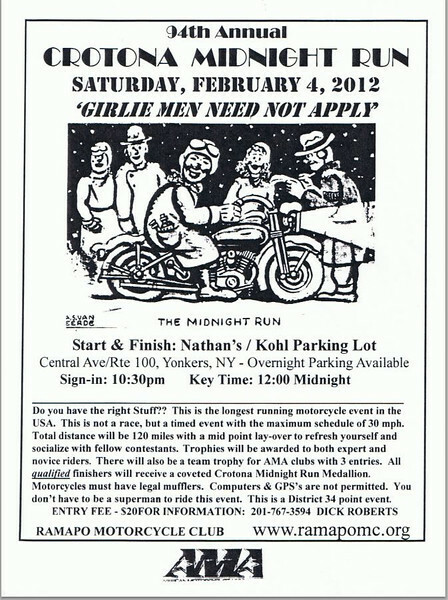 But, if I were to take the Ural weather wouldn’t be as much of a concern. Why the dilemma? 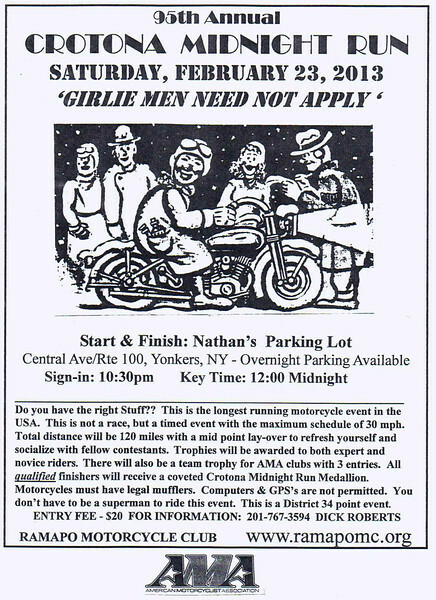 It is entirely because of ride to and from the event start/finish in Yonkers. That is about a 75 mile slab ride from where I live. Knowing how I tired I’ve felt in years past when the ride is over at 6:00 am, I just want to get home as fast as I can. With the Ural, as fast as I can… isn’t very fast. 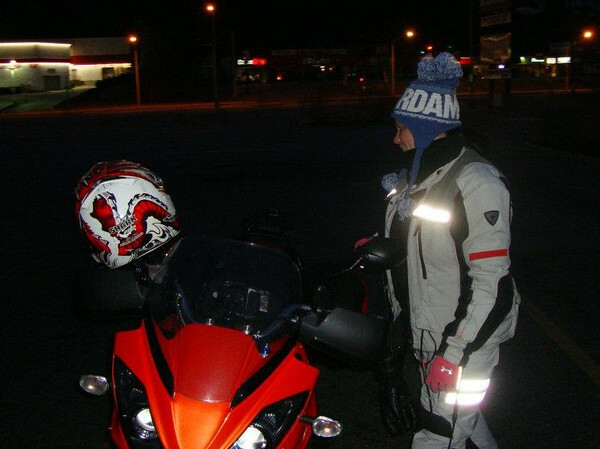 But, then again the idea of riding home on the slab in a wintry mix after being up all night on any bike doesn’t sounds so good. Not to mention it might snow all through the actual event. 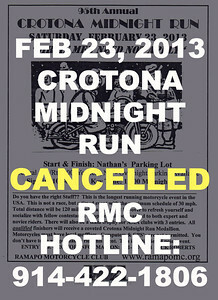 I wonder if Ramapo MC will reschedule or cancel on account of the weather? They have done that in the past. I guess we’ll know soon enough.